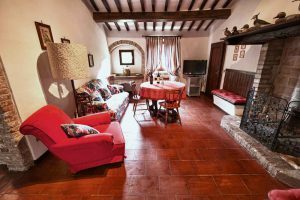 The VASSAL is a three-roomed apartment (69 sqm), on the stilted ground floor of the Tower. It features two double bedrooms with AC, a living room with fireplace, one bathroom, and a large full kitchen with a table inside. One bedroom can have a double king size bed or 2 twin beds; the second bedroom has a small double bed + a single bed, were 3 people can comfortably sleep. 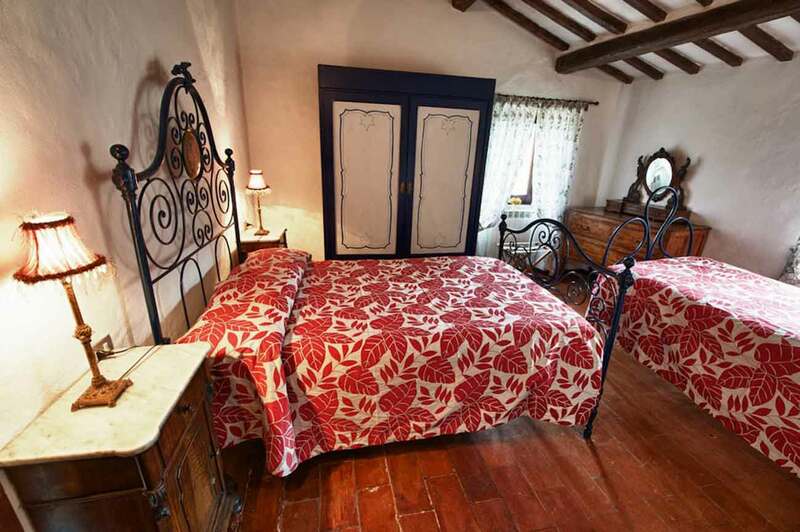 It features old stone walls, stone arches that separate the rooms, and original terracotta floors. All rooms have exposed wood beams; original fireplace is very large. The bathroom is equipped with all the sanitary ware, included a tub and a hand shower, and has a window. Furnished with 19th century antiques and elegant fabrics, it features independent heating system, flat TV, telephone, WIFI, dish-washer, hair-drier and safe box; it has plenty of fluffy towels including swim towels, fine bed and household linen, cutlery, crockery and kitchenware, and parking space in the car port. The Vassal is full of light and enjoys sweeping views of the Umbrian countryside. 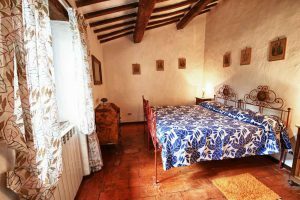 (apartments can be rented in addition to the Pieve San Quirico castle-villa only).